A seven day cruise starting in Civitavecchia (Rome) where we boarded, followed by two days and one night docked in Livorno in Italy, with a day trip to Florence. Then one day each was spent docked in Monte Carlo, Marseille, Porto Mahon in Menorca, and Palma de Mallorca, before ending the week in Barcelona where we disembarked. I have a news flash for anyone under the age of 50. Cruises are cool. They’re not just for the newly wed, the nearly dead, or the very well fed (ok, I might fall into that last option). At least, the Silversea ones aren’t. I’ve already written about the ship itself, the service, the suites, the vibe in general and the kind of people you find on there in SILVERSEA: Review of cruise ship Silver Spirit. Have a read, you might be surprised. But what was especially attractive about this particular voyage was that it was a gourmet cruise, meaning heavy focus on food, dining, wine, awesome Michelin-starred chefs, and full on gala dinners. And as you may have gathered, that’s right up my street. This was a good week for eating. There were endless meals of good food and wine, a lot of it brilliant, and one too many cocktails. Below were some of my favourites, both aboard the ship and on land. With Italian culture orbiting around the epicentre that is food, you would expect dining to be a high priority at Silversea. And, it is. For starters, they have a partnership with the prestigious Grands Chefs Relais & Châteaux. If you’re on one of Silversea’s gourmet cruises, you can expect gala dinners created and hosted by guest chefs from around the world. During our seven day voyage, two head chefs from Michelin-starred Relais & Chateaux restaurants, each presented two nights of pretty awesome feasting, held in the La Terraza restaurant. My favourite was the entirely superb Italian gala meal thanks to guest chef Fabio Pisani from restaurant Il luogo di Aimo e Nadia in Milan, with a wine list devised by guest sommelier Gennaro Buono from Il Pagliaccio in Rome (you can find out more about Genarro and his wine under Did you know further down). There were five courses of some seriously spot-on cooking. The voluptuous risotto with courgette flowers adorned with freshly grated white truffle, the yielding veal sirloin with chamomile crust and tropea onions in a raspberry vinegar, and the cream of yoghurt mascarpone with coffee biscuit and bergamot ricotta – were the best from a very strong bunch. A special note must be given to the accompanying wine list from Gennaro Buono. Never have I experienced a wine pairing where every glass has been knock-out. And there was a bit of a ‘STOP PRESS’ moment when we got onto the Marche Rosso Kurni 2013 – Oasi degli Angeli. I don’t know a great deal about wine, but I do know no other glass has ever got me this excited. I quite simply, couldn’t stop drinking it. It was a good night, as you might imagine. 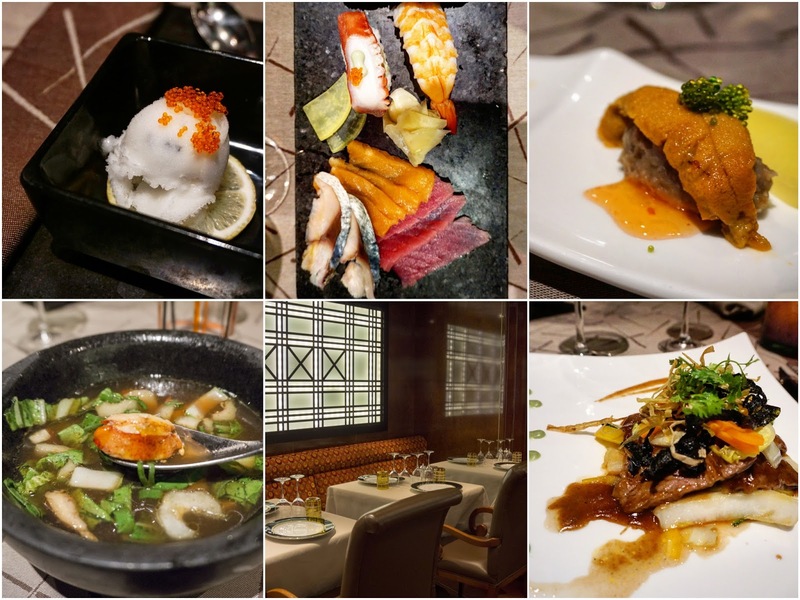 We dived into a full on nine-course Japanese tasting menu and a bit too much sake at Seishin on our first night. 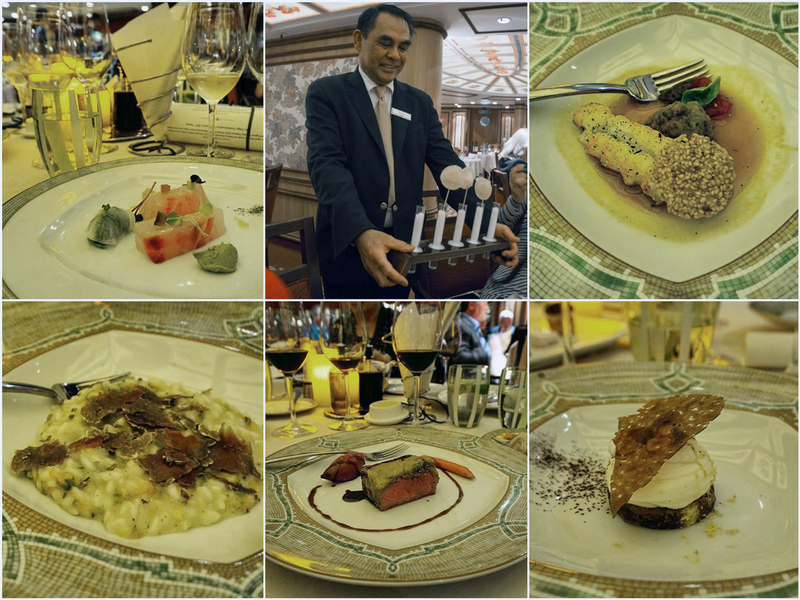 This is one of two restaurants on the ship (the other being Le Champagne) that come with a little surcharge for evening dining ($40 / £27 per person), but it’s like, totally worth it. I’m always a bit weary when there’s a solo, token Asian restaurant in a hotel or in this case, on a cruise ship, that’s not in Asia. They often feel like an afterthought, only there because the place thinks it should probably be serving some sort of Asian food, just to cover their bases. I wasn’t expecting it to be that good. It was very good. There was a sparkling caviar sorbet to start, and as well as all of the shimmering sashimi and sushi, we had sea urchin with with potato mousseline, clams in a ponzu sauce, miso-glazed black cod, a corking lobster and lemonsgrass soup, and when we couldn’t possibly stomach another savoury bite, the tepan wagu beef came out, and that was nothing but glorious. I just wished I’d made it there for a lunch, where sushi and sashimi is sculpted while you wait, it’s buffet, and there’s no surcharge. I was usually on shore – dammit. Steak. Lobster. Add some fine red (which we obviously did), and that’s unashamed indulgence right there. I’ll go so far as to call it the holy trinity of a very good meal. The finesse and pretty plates you find in The Restaurant or La Terraza have no place at the The Grill in the evenings. Instead (and what many would argue, preferred) you get given an almost molten slab of volcanic rock onto which you place your choice of protein, watch it smoke, and listen to it sizzle. Al fresco DIY hot-rock cooking. No fuss, no complications, just quality ingredients. It’s a lot of fun. And it was one of my favourite meals from the week. Fish of the day on our visit was lobster tail, but also expect salmon, fat prawns, and whatever else the chefs have managed to source. Particular note should be given to the beef, or the chef (that was me), or probably both. The meat is Sterling Silver Premium, graded as “prime” and ranked in the top 12% of all available beef products in the world. The cows are grain-fed in the high North American plains and the meat hand-selected for superior marbling and a rich flavour. What that all translates to is one seriously good rib-eye. So good, we went back a second night. There’s no such thing as too much steak, right? It can be a bit of a challenge pulling yourself away from the ship to explore the shore, what with all the on board amenities, a daily-changing and varied list of activities, and all food and drink included. But if you can manage it, there’s a lot of good stuff to see. And eat, naturally. There are these great places in Italy called fiaschetterie, which are little wine shops where people on their lunch break order a bite, a small glass of libation, and enjoy the two standing on the street. It looks infinitely more sophisticated done in Florence than the same thing could ever come across in London – I’m not sure a Big Mac and beer in Leicester Square would quite cut it. We were looking for a place called I Due Fratellini, which was pretty easy to spot despite being on a side street, thanks to the small cluster of people congregated around it’s tiny frontage. Inside, two men pouring wine by the glass and making great sandwiches. I got a roast ham and truffle cream panini, with a glass of local table Chianti, for just €5.50 (£4). Better than a Boot’s meal deal. And why is it still frowned upon to have wine on your lunch break in England? They even have little shelves on the walls outside with numbered sections, so you can perch your glass to free up your hands for eating, and pick up the right one after. The UK has some catching up to do. 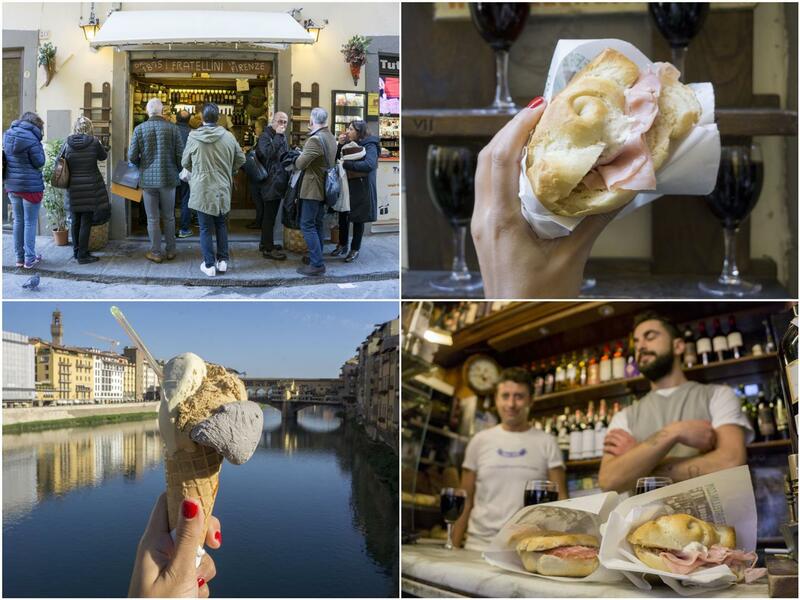 Then we sauntered about a bit, and across the Ponte Santa Trinita bridge, until we found Gelateria Santatrinita. This was just about the best textured gelato I’ve ever had. It was like eating a cloud. Three scoops – sesame, pistachio (a must when in Italy) and coffee. There’s a picture of it above with the Ponte Vecchio in the background. It was bloody gorgeous. Oh yes. This meal was truly wonderful. Easily my favourite lunch from the week. Hands down, this was the best paella I’ve ever had. The texture of the grains, the flavours, the big fat juicy hunks of gorgeous fresh fish, the tender squid. Everything was so spot on. One of those food gatherings where the stars align – fautless food, reasonable prices, a great setting, perfect weather, and awesome pals. I’ve actually dreamt about it since – true story. This was had at ENCO Gastronomy, a great spot we happened to stumble upon near the cathedral. And there were fish bowls of sangria. And bread with jamon and local cheese. And pickled chillies. I mean, it was just excellent. 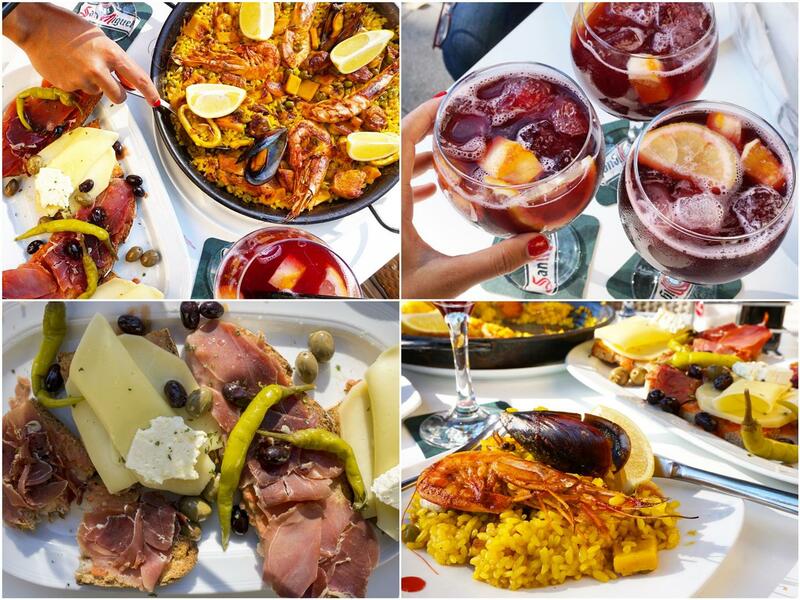 And you can’t beat a feast like that in the late autumn Spanish sunshine. I really enjoyed the few hours I had on Menorca. The view of its coastline coming in on the boat was quite something, and meandering through the quiet streets was nothing but dreamy. Plus the food market was rocking, full of locals, having a glass of something good and nibbling on small plates. I bought two trio packs of morcilla, chorizo and pork belly to make classic Spanish bean stews with. I’m looking forward to that. We were on the hunt for a place to eat, and it’s hard to go too wrong if you follow the crowds. 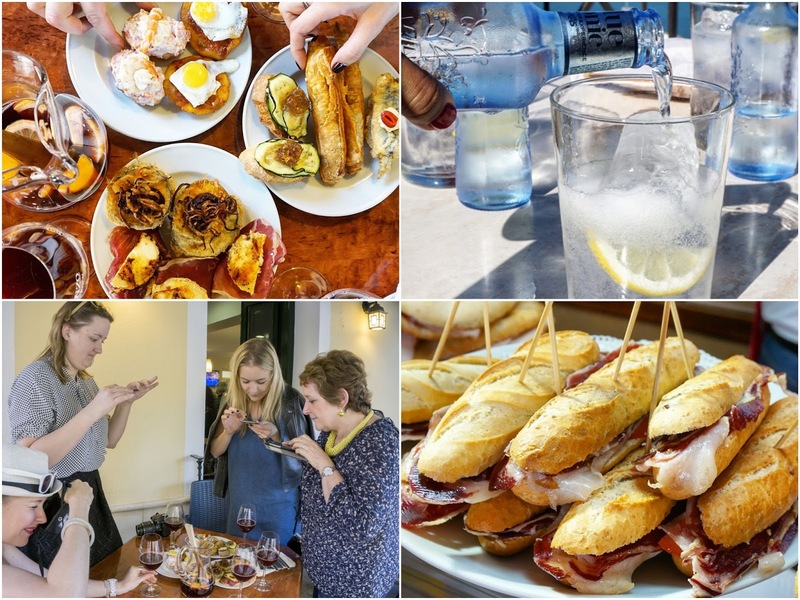 We ordered several plates of tapa and sangria from a bustling restaurant – morcilla with fried onions and quail’s egg, sobrasada-stuffed pastries, Iberico with caramelised goat’s cheese, and the rest. If you’re a fan of gin (and let’s face it, what good soul isn’t), I implore you to try Xoriguer gin local to Mahon. It’s one of the only gins in the world (alongside Plymouth) to have a geographical indication, Gin de Menorca. I think this was the best G&T I’ve ever had. If you can enjoy it in the Spanish sunshine, even better. I usefully forgot to note down where we had the tapas. Soz. The gin can be found everywhere. 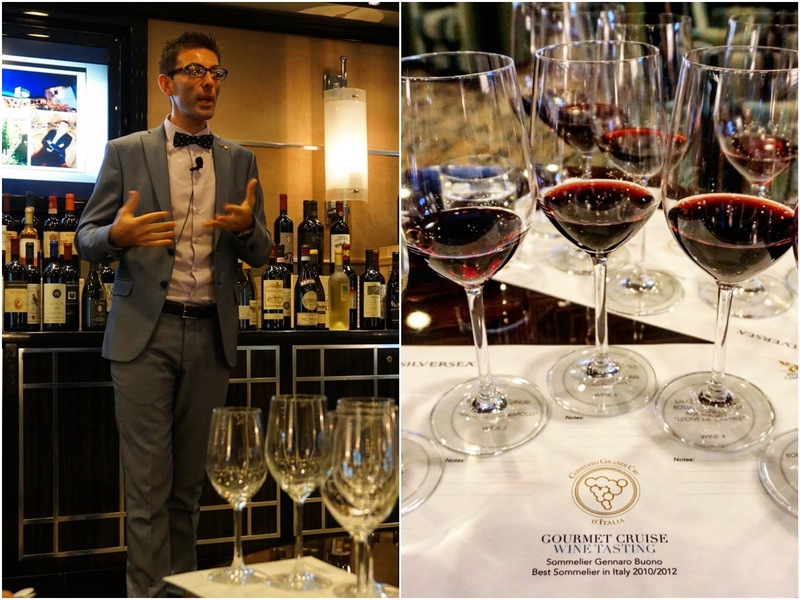 There are a lot of culinary-related activities only found on the Silversea’s gourmet cruises that are really very interesting. You can attend a really insightful tour of the huge central galley kitchens, fascinating if you’re interested in seeing the belly of a beast that caters to so many people, all day, every day, and how all that is managed and overseen by one person. Executive Chef Anne-Mari Cornelius, responsible for 63 members of staff across five galleys, walked and talked us through a couple of them. It was very reassuring to hear pasta is made fresh daily with traditional grano duro (semolina) flour, along with bread baked twice a day (so it’s never more than a few hours old), and fresh produce always locally sourced from the first port before the ship sets sail. As well as Fabio Pisani and his stellar Italian gala dinner mentioned earlier, the other Michelin-starred Relais & Chateaux chef on board was Erik Arnecke, from restaurant Philipp Soldan in Frankenberg. He too devised and hosted two gala dinner evenings, which were great, but I also managed to make it to one of his cooking demonstrations. Lap-top eating and 11.15am wine in the theatre-style Show Lounge was no bad way to get through the morning. 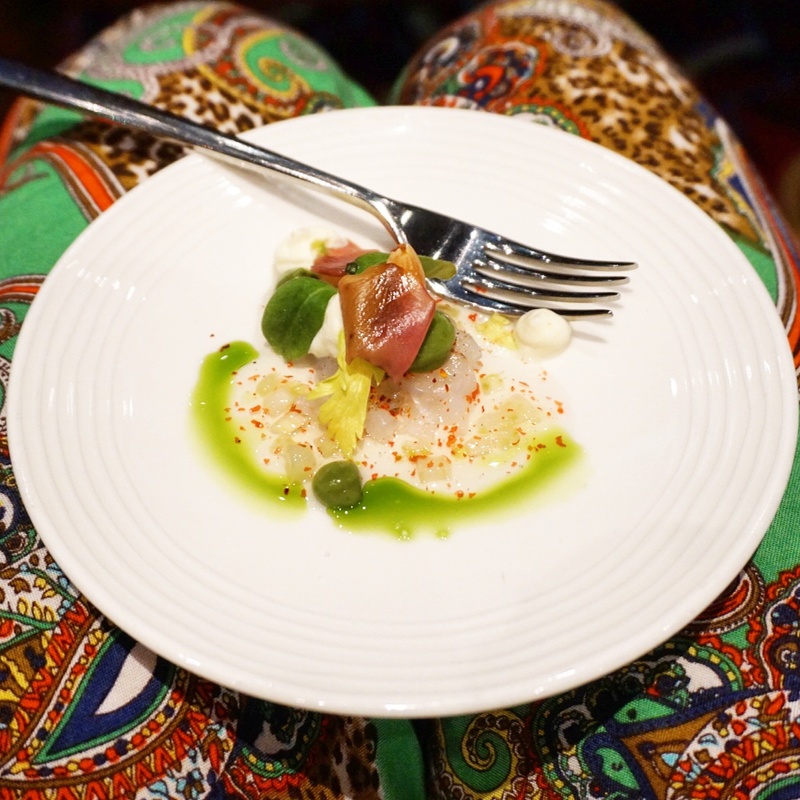 Erik was on the stage cooking and assembling one of the dishes from his menu the night before – marinated langoustine carpaccio, avocado, rose and espelette pepper. It’s a great opportunity to ask a master of the kitchen any questions you might have been saving for a Michelin-starred interview. I already mentioned Genarro Buono’s genius in introducing me to a wine that had me reeling for days, it was that good. Well, he was also available for wine tastings each day, where guests could sit in the comfort of one of the plush bars, working their way through a series of five glasses. Genarro is a wine week in the truest sense. He qualified third at the competition of Best Sommelier in Italy in 2010, and two years later he won the title. So he knows what he’s talking about. And he talks about it, a lot. Most of the tasting notes are lost on me; I can usually identify the overriding aroma and flavour, but not a huge amount else. But the best thing about this is seeing someone so passionate and knowledgeable about their craft, and getting to ask him any wine-related questions you might have been storing up. And drinking them, obviously. When docked in Livorno, the ship provides a paid for shore excursion to get you into Florence, should you fancy a day trip. A big coach will take you and if I recall correctly, it costs around €90 per person for the return journey. That’s not bad value, but it’s not flexible. There’s only one departure time, which was too early for us (8.15 am) considering our late night drinking the day before. And the coach gives you a generous 8 hours or so in the city, so if you’re done beforehand, you need to hang around until it’s ready to leave. Or, you can approach one of the private taxi guys you’ll find around the port as you disembark. This is only worth it if there are a few of you, to keep costs down. But do haggle a little if what they’re offering sounds too much. We were offered a price and thought it too high, asked the driver just to take us to the station so we could catch a train into the city instead (another good option). Then on the way, he dropped his price a little further, and we accepted. With five of us in a roomy cruiser, we were charged €55 each (we added another 5 each for tip), he was faster than both the coach and train (he took under an hour each way), he waited in the city until we were done, and we dictated the time we returned. He was also a very nice guy, driving us around the main parts first, so we could get our bearings. My other tip would be to make reservations for the restaurants on board. Some of them are quite intimate with only a few tables, such as Seishin. To avoid disappointment, secure a table beforehand – we saw quite a few guests having to be turned away from Seishin on the first night. All of it. Truly, I liked all of it, a lot. Particularly the morning we docked in Monaco. I woke up, pulled back the curtains bleary-eyed, and was greeted with the magnificent view above, right in front of me. One of those cities that looks best from the water. Good morning indeed! Also, standing on my private veranda in my pj’s before bed as the ship glided elegantly through inky waters, which became a nightly ritual. Looking up at a dark starry sky, the fresh sea air, the cathartic sound of gently swishing waters. Glorious. I didn’t really want to leave (see below). Note: Silversea kindly hosted this trip, including flights, as part of a media package – thank you to everyone involved for a truly wonderful and unique experience. A special note also goes out to Addison Lee Cabs who whisked me to the airport when it was too early for public transport, and also met me on arrival when I returned to London. Their free in-car wifi and charging stations are particularly handy when you forget to do all those important things before running out of the house. Their loyalty service is also worth reading up on if you’re a regular cab user – ClubLee gives some worthy discounts and exclusive offers. All views remain my own. 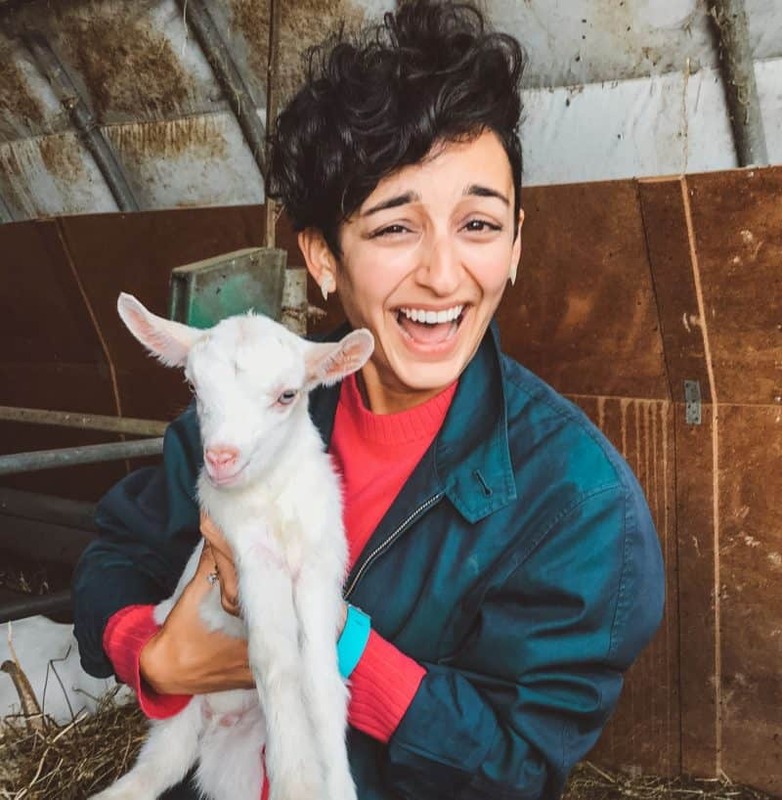 Do take a look at the coverage from my wonderful fellow shipmates too: Hermione Olivia, Lavender and Lovage (Karen’s write-up here) and The Travel Hack. The happy hour beers are listed in red on the menu with about twelve or so to choose from as I recall with some decent choices. Looks like the San Francisco venues have a nice little pub menu but we did not try any of that on this evening. Thanks Karen! Tell me about it – I'm behind too – eeeep! The life of a travel food blogger and photographer is glamorous! I'd choose that 10 times over being the owner of GM, for example.